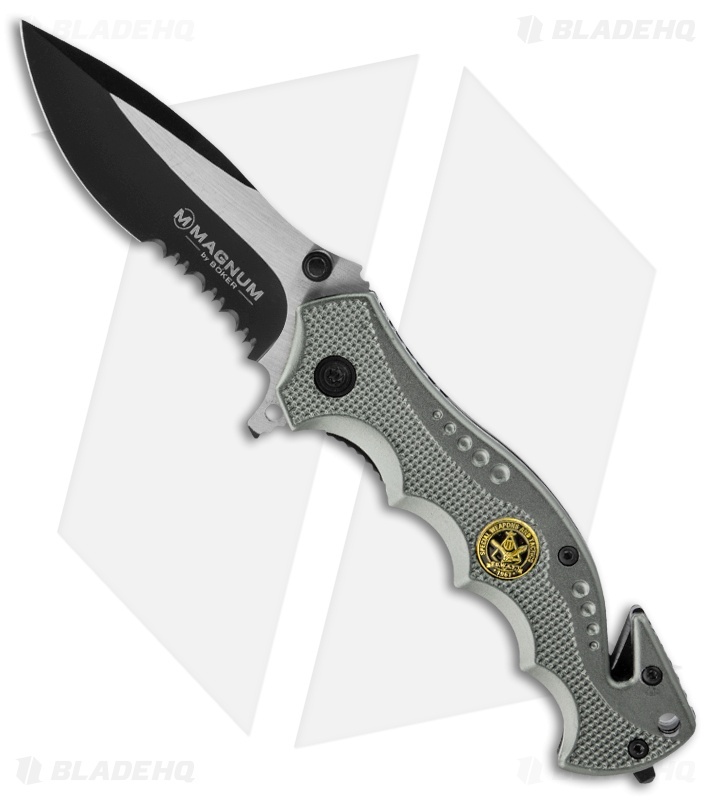 The Smokejumper knife from Boker Magnum honors the professionals who risk their lives for others. 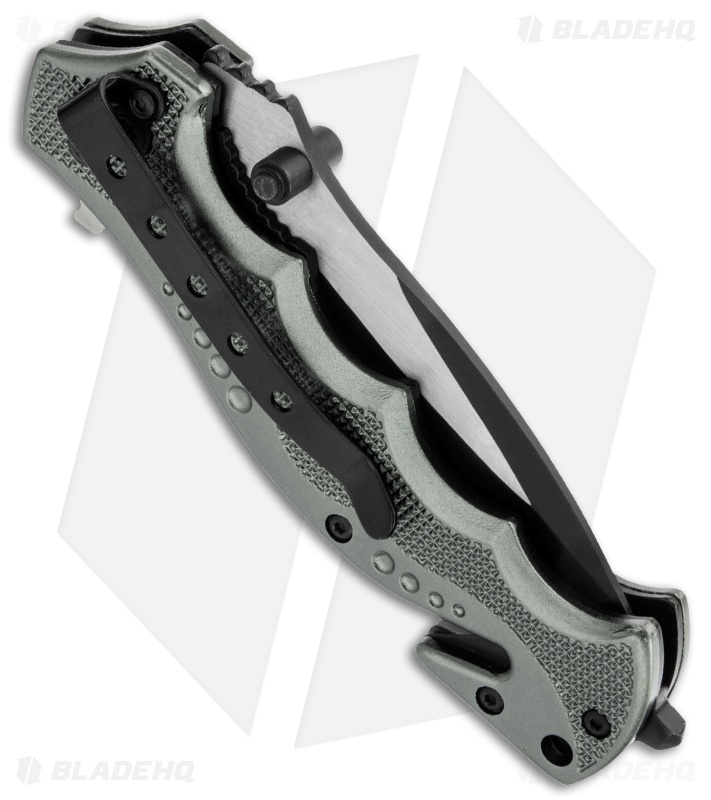 It features a two-tone 440 stainless steel blade with a liner lock mechanism. The charcoal gray handle features a SWAT logo emblem. The handle also features a glass breaker, and a belt cutter. Includes pocket clip and lanyard hole.